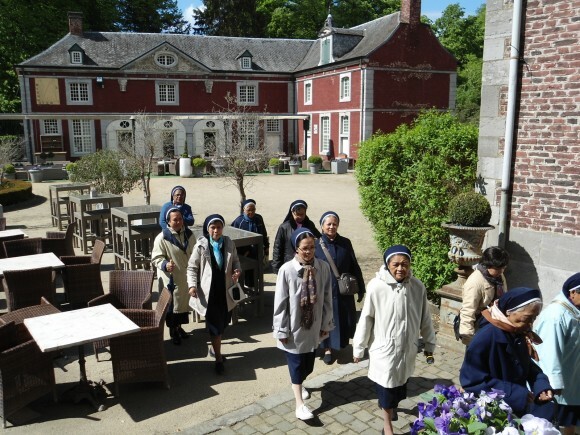 This year of 2015, one – month of the CB Pilgrimage Program was carried out in the Netherlands and Belgium from April 27 – June 3. A total of 15 Indonesian sisters participated in the Program and it was done in Bahasa Indonesia. The age of the participants is varied: the eldest was 72 and the youngest was 47 years old. 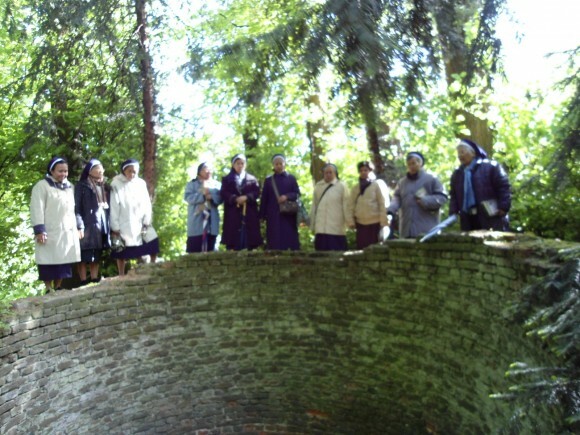 This program is expected to facilitate the sisters in deepening their religious life as CB sisters by going back to the founding spirit of Mother Elisabeth and her pioneering companions in building the Congregation and the of the spirituality of the Congregation that has been lived out by her followers through the history up to present. The program was designed by using an analogy of our spiritual growth: 1) Journey back to the source, 2) Growing towards maturity, 3) Yes, all things will come (EG 6), 4) to continue God’s work with courageous zeal in continuous prayer and cooperation (EG 24), 5) the meaning of the experience of the cross, and 6) towards the fullness of life. Each theme were deepened for a few days through inputs, self-processing/integration, sharing, group discussion, visitation to some historical shrines of the Congregation such as Leut, Calvarieberg, Lenculenstraat, Vrijthof, complex Onder de Bogen, St. Matias church, Sterre der Zee Basilica, St. Servaas Basilica, and Sittard. Their most touching experience happened when they were given a chance to visit and see the original booklet and the first Constitutions written by Mother Elisabeth as well as the religious dress that are kept securely in a safe deposit box. 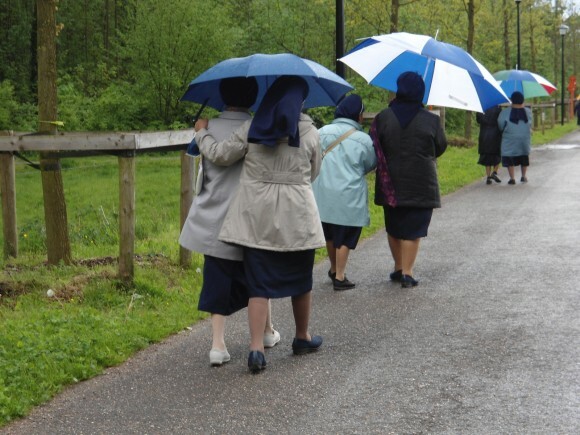 In order to improve relationships with one another and with the sisters in the Netherlands, we facilitated the participants to enjoy their recreation, outing, and free times as well as to visit sisters in different communities in Onder de Bogen and Bergweide, Heerlen. 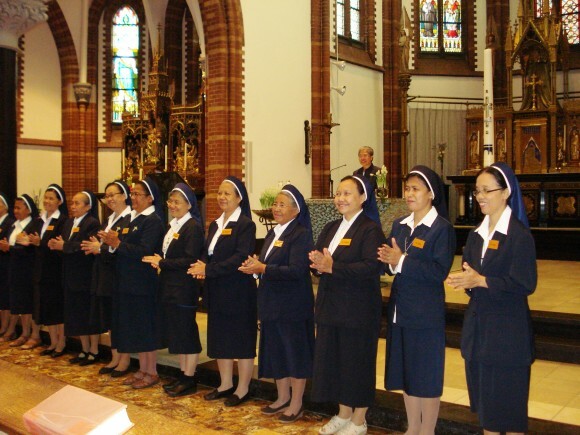 Other than these, sisters were also present in different occasions mainly in relation to the Year of Consecrated Life held by St. Servaas parish Church, Sterre der Zee Basilica and the Cathedral of Roermond. This Pilgrimage has indeed helped them to see their spiritual life’s journey more sincerely and deeply. They all were really grateful for having a chance to ‘come home – to the house of our mother’ and to acquire spiritual strength from God who calls each one for religious life in this congregation. Using Bahasa Indonesia as medium help them understand the content of the inputs and therefore encouraged them to participate fully in the whole process.